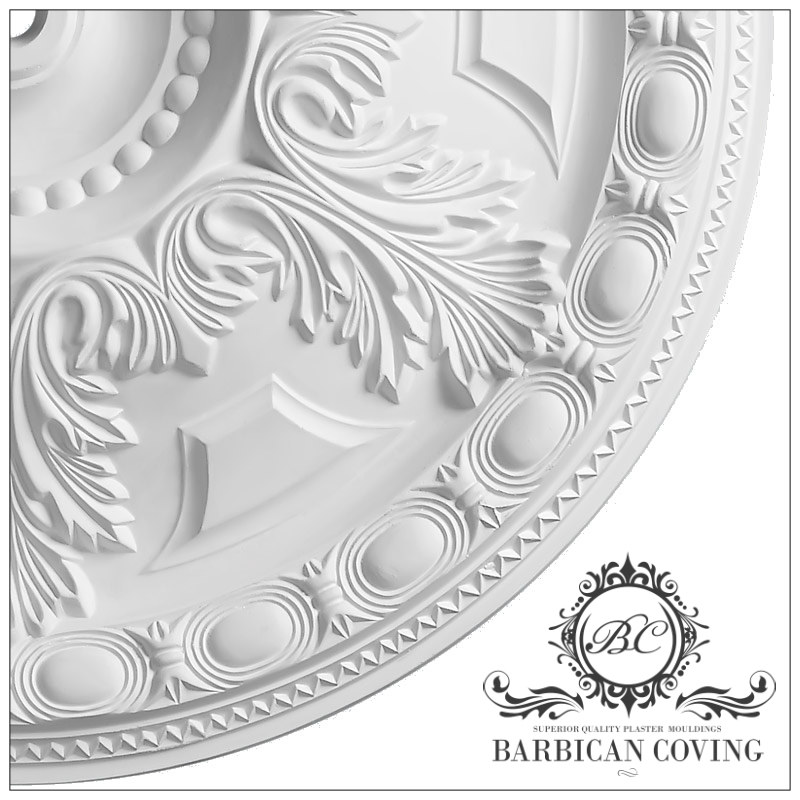 The Lady Windermere Plaster Ceiling Rose is a classic decorative Victorian ceiling moulding. 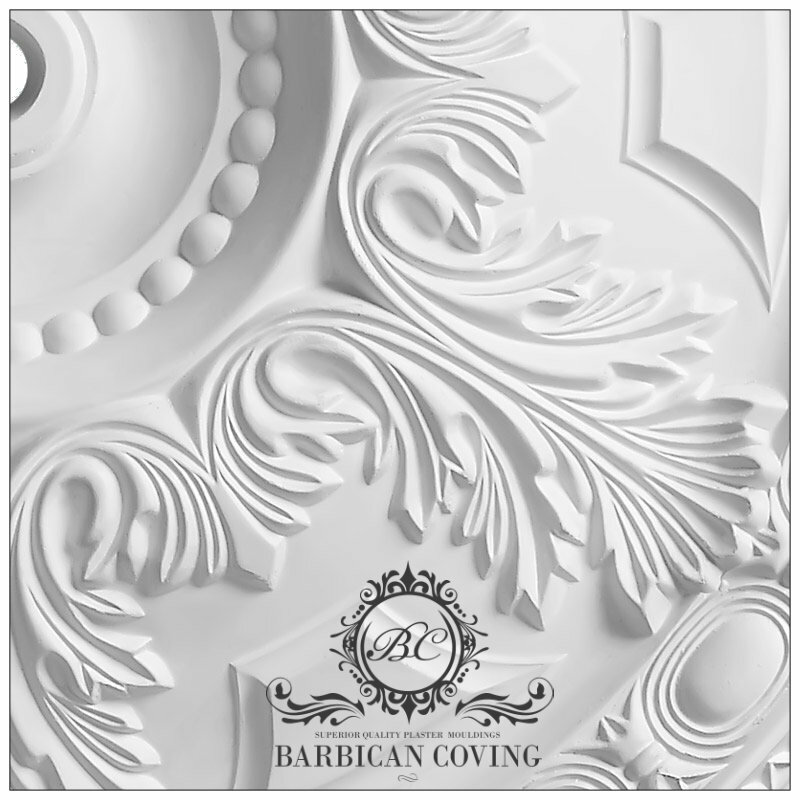 This deep Victorian Acanthus leaf style plaster ceiling rose features large acanthus leaves with raised panels within an stylish outer border, ideal for giving Victorian style to smaller rooms. The Diameter of this ceiling rose is 510mm or 19.7 inches. Named after 'Lady Windermere's Fan', a stage play by Oscar Wilde, first produced 22 February 1892. Like many of Wilde's comedies, it is a classic example of cutting satire that addresses the morals of Victorian society, and focuses on the difficult subject of marriage. 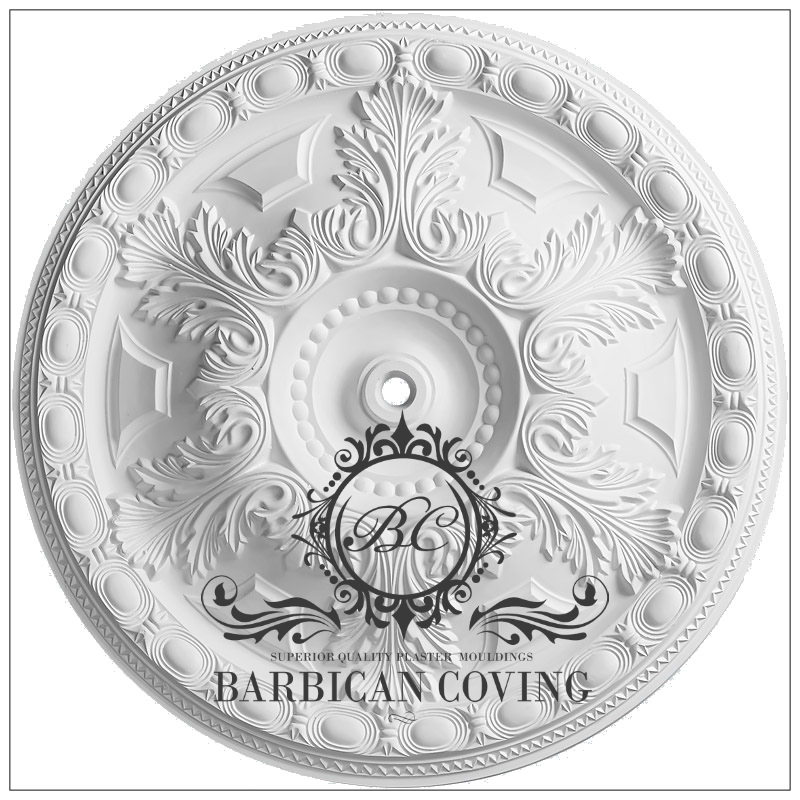 All our plaster ceiling roses are handmade from the finest quality gypsum plaster using traditional techniques. 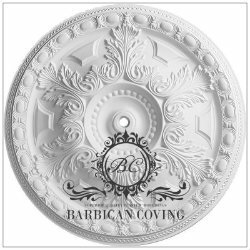 These Ceiling Roses are hand cast in finely detailed traditional moulds, which give all our designs the sharpest definition and consistent quality, along with the unmistakable look and feel of traditional plaster.